Whelp! It's that time of the decade again. If I'm hearing right, it seems to be more of what they did on QB a year ago: make supplements into the base schedule. I'd guess that and maybe (?) riders are looking at cuts. The more scary part is that second sentence. I'd imagine the implication is that we're heading back toward mid-2000s off peak service, but what exactly that translates into (earlier full-line end times? More off-peak cutbacks?) remains to be seen. This whole thing is a f****** disgrace. The fact that are City is booming financially and we're seeing these cuts just shows what mismanagement this agency has. I'm beyond pissed right now. Oh and by the way.... NO cuts for LIRR or Metro-North riders AND their fares are CAPPED... It seems as if New Yorkers that live in the City are forced to bare the brunt of the cuts. Probably means that the and might stop running earlier (~8:30), as they have mostly have been. The might stop running on 6th Avenue and Queens Boulevard after about 8:30 or so. The former was put into place with the 2008 service enhancements. The latter would be catastrophic and would make the E more crushloaded than it is during rush hours. The service guidelines are also changing, meaning more cuts here and there across the board. MTA: Yeah um, we are experiencing delays due to 'overcrowding. ' It's totally the fault of our customers. Oh, totally with you here. This speaks to a complete institutional unwillingness to make anything more than the most superficial of efforts to rationalize internal cost structures, instead placing the burden of deficit on the rising public — whether that be through service cuts, maintenance cuts, cleaning cuts, or the like. This isn't just a shoddy thing to do. It’s patently terrible government policy — and it’s one that only can exist because of the MTAs complete lack of internal and external accountability. On the issue of weekend service, though, I’m gonna do an analysis of this. Not only have we swung too far towards this “let’s fix the system at any cost, however Pyrrhic victory may be,” but we also have practically zero productivity. Beyond doing a manual run through web archive, does anyone here know of a way to find old weekend changes (and crucially, the reasons given for them)? I was under the impression this was (at least on the subway side) more of an effort to cull service under the guise of facilitating GOs. On the bus side, I’m less sure, but I’ve heard this'll be cuts that bring under-guideline routes to guideline. This is all hearsay, though. I don't know any way besides going through the web archive. I can help you find them there back to 1997. Second Avenue Sagas has changes back to its start in 2007. Well, looks like driving is about to become more popular. Seems like it's time for this congestion pricing nonsense to be thrown in the trash. 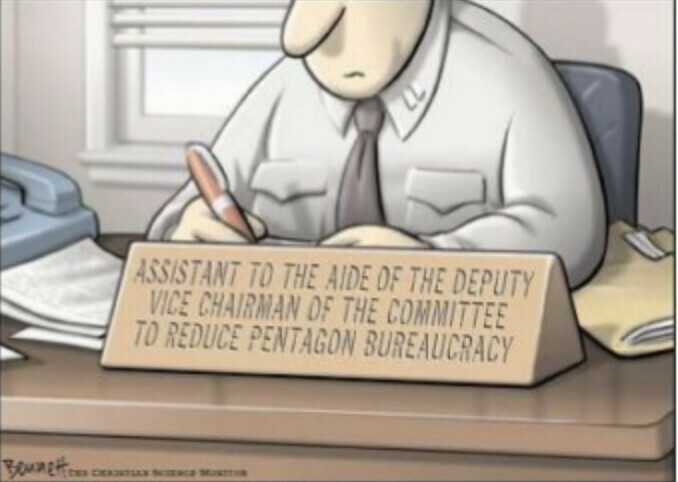 How come with all these cuts they never reduce admin staff? Oh, cuz exists to pay them, not to get us from one place to another. Welp, More cuts! That last thing the needs right now, especially on the and lines. Mismanagement is getting worse. Am I the only one here who wonders who exactly is behind this mismanagement? What are you talking about? Every transit agency needs an Assistant to the the Deputy Junior Director of the supervising committee of lower department of monitoring (but not fixing) signals! Am I the only one here who wonders who exactly is behind this mismanagement? I'd say it's much more people than just one person. It's the result of numerous politicians and bodies of government over the years on different levels slowly and surely contributing to the deem-able nightmare we have today. I'm sure someone else on here has a more specific answer than mine, but that's basically my elevator pitch on this question. I'd say it's much more people than just one person. It's the result of numerous politicians ﻿and bodies of government on different levels slowly and surely contributing to the nightmare we have today. I'm sure someone else on here has a more specific answer than that, but that's basically my elevator pitch on this question. Well, true. I forgot to add that Into my question. • Lower than anticipated expenses for the administration of the MTA Genius challenge. At least they found a way to save $1.5 million. 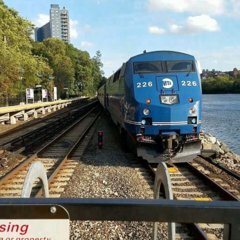 So what is it that the MTA needs possibly from the State? What's the shortfall that's cascading to these cuts? They have enough money. They don’t choose to spend it wisely. It won't matter. The way that the cuts are set up, unless there is a miracle these cuts are happening. The question is how severe will they be. From what we've seen, even if you had congestion pricing coming through, it seems that the express bus cuts and subway cuts would still happen. I spoke last night before the board, and I was VERY critical of these cuts, and I was especially cynical of the idea that the agency says it will lose $215 million this year alone for fare beating, yet it's only moving to address the problem now. First off, the CFO Mr. Foran puts out over 600+ pages of material, which does not spell out which bus or subway lines may see cuts and it should. Even some board members complained about the lack of time given to review it, and the public has only had a few weeks to review it if they wanted to (we reviewed it). Then they had an emergency meeting yesterday with very few announcements about it (surprise surprise) and BOOM, here's our plan to cut service. They still did not state which lines would be up for cuts. I don't think that matters at this point. Even with that said it still affects the end riders and economy to some degree with the cuts. Almost like giving your kid the Con ED bill money and they go to Gamestop instead. How they spent doesn't matter at that point lights are still getting cut off. Cuomo may need to step in to stabilize and clean MTA house. It would be in the bigger interest of State to keep NYCT from staling out. Who's at the helm with Lhota gone? Fernando Ferrer is the acting Chairman in the interim. 🤦‍♂️ (Man) So what's the plan put the report out with the hopes someone wires the money to cover the cuts? Cuomo may need to step in to stabilize and clean MTA house. It would be in the bigger interest of State to keep NYCT from staling out. Cuomo would sooner let someone die on the subway than try to do his job. Not on purpose, of course, but I feel it’s inevitable. And I’m 100% serious here. It’s only a matter of time before a life is lost on the subway that could have been prevented.